I was pretty sure that I was all ready for Theme Thursday today, which is to say, I hadn't yet looked at the topic, but I took about a thousand pictures this week and I figured one of them would fit whatever the topic happened to be. Then I saw the topic. Self portrait. And I was all: "Cari!!!!!! No!!!!!!!!! Anything but that." 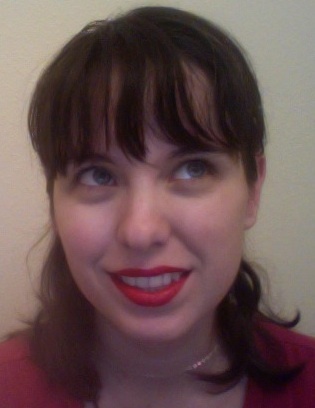 And I considered using the picture from after I chopped my own hair off a few months ago... but then I decided that since I just "successfully" cut my bangs again, a second time (at least for this round/decade of "let's play beauty shop"), and I like the length better now than I did then, I might as well give it a try. Of course I went over and checked out a bunch of the other pictures, which were all awesomely beautiful, and wondered why there were so many up, since it was before 7am and I'm almost always one of the first ones to arrive at the linkup party, before realizing that I'm in the Pacific time zone now, and it's not nearly as easy to be early. Then I gave up stalling and used my computer to snap a few pictures. Okay, let's be honest. A lot of pictures. 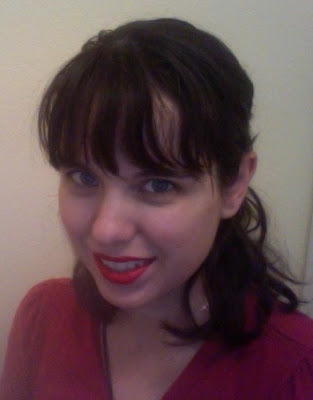 I was still in my pajamas, but I opened the drawer by the side of the sink and saw a lipstick that was mine, from 2006, when I was a newly wed cheerleading coach, that apparently didn't make the move to Florida or Michigan and thought "Oh look! A new lipstick!" (because when it comes to makeup "new" is apparently makeup purchased sometime in the two years before my first child was born... at least it is if I haven't seen in a good long while) and I decided to go bold with the bright red that I was hardly ever bold enough to wear, even when it really was new. I think this one is actually my favorite. Despite the sleepy eyes. There. I did it. And since I've hardly taken pictures of my self in the recent past, since I'm almost always the one clicking away, that's what I look like up close now, not disguised by babies (and their baby-cuteness) hanging on me, like in the Sunday takes. Now head over to Cari's if you'd like more oh-my-goodness-is-this-really-this-morning's-theme Theme Thursday takes! I love it. I have the I was awake for too long bags too, so never fear, good company!! I think you look wonderful. You look so pretty!! Love the bangs! 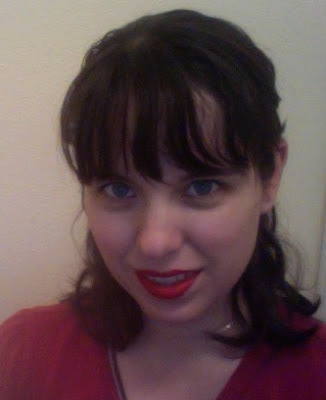 Blue eye/dark hair/pale skin/red lipstick is my favorite combo. You look like a sassy Snow White. Just what I was thinking! And I think it was a common theme that so many said we took a zillion to get to a good one. Such critics we are. 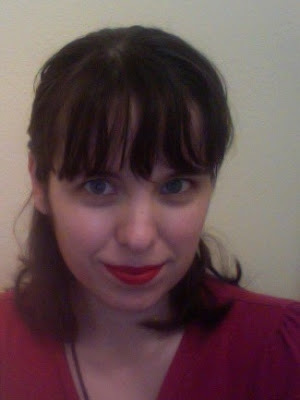 Cammie you totally look like a '20s beauty! So pretty! 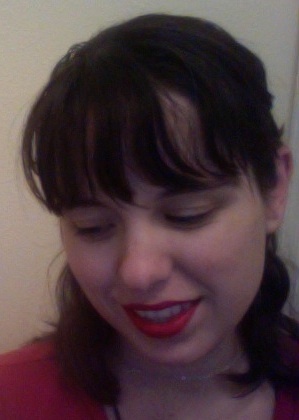 I think the bangs and the red lipstick give you a classic retro look. Very cool.